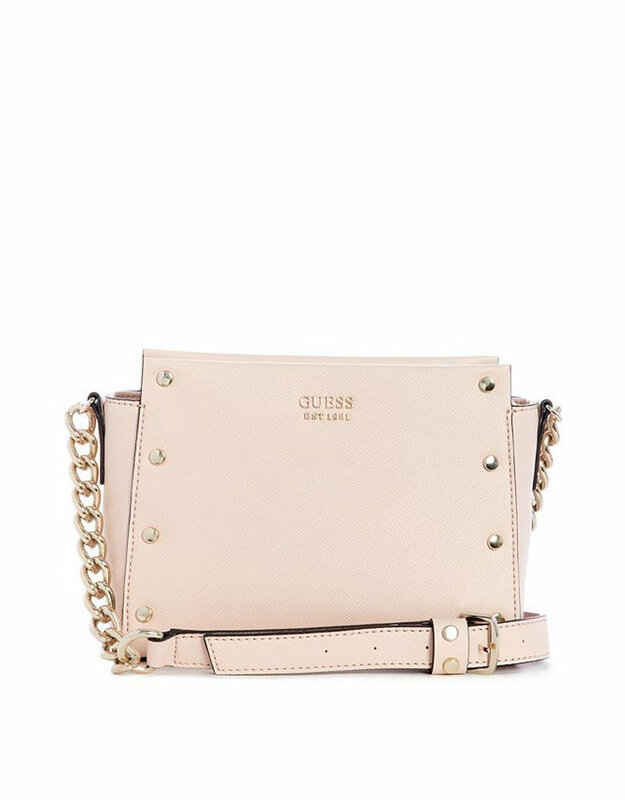 Guess Stephanie Mini XBody Top Zip. 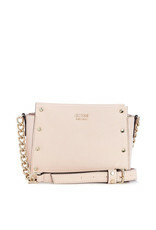 Stay in style on the go with this mini crossbody, featuring pale gold-tone hardware, a front logo and studded details. 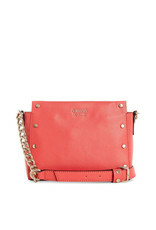 Top zipper closure, logo-print lining and interior pockets.